One-year-old boy killed in car accident in Negev. Police say boy's grandfather accidentally hit the child while driving in reverse. 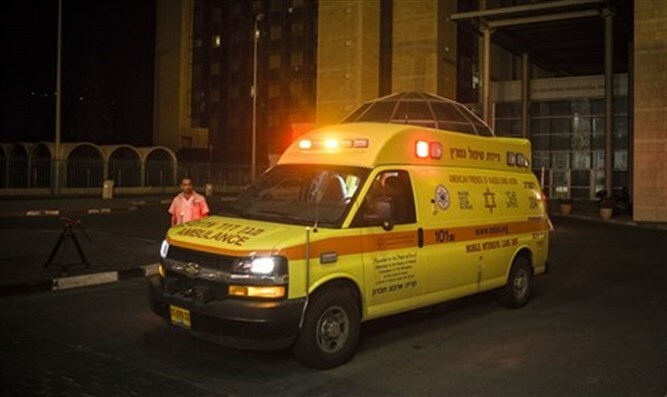 A one-year-old boy was killed in an accident Thursday afternoon in southern Israel, when a car apparently slammed into the child. The accident occurred in the Bedouin town of Ar'arat an-Naqab (Ar’ara of the Negev, also known as Aroer) in the central Negev, southeast of Beersheva and north of Dimona. The boy suffered serious head injuries in the accident, and was transported to a local clinic for treatment. MDA paramedics were called to the clinic shortly after the boy’s arrival. The paramedics found the boy had no vital signs and were forced to declare his death shortly after their arrival. Police opened an investigation after the accident was reported. According to the preliminary results, the child’s grandfather accidently struck the child while driving in reverse.